It was 1956, in Pinehurst, at the 100th annual session of the North Carolina Dental Society (NCDS) that a group of North Carolina orthodontists who were members of the Southern Society of Orthodontists (SSO) held a “Called Meeting” to organize a state society. The meeting was held in response to Dr. Olin Owen’s (Charlotte) recommendation that “each state within the geographical jurisdiction of the SSO organize an orthodontic study group or seminar.” Dr. Owen was president of the SSO in 1955 and was one of several North Carolina orthodontists who were members of the Florida Orthodontic Society (FSO). At that time, Florida was the only state within the geographical jurisdiction of the SSO organized as an independent orthodontic society. There were 24 charter members at this important meeting. Dr. Owen noted that 26% of SSO members were Diplomates of the American Board of Orthodontics—next to the least of any constituent society. He urged members to consider taking boards. In addition to organizing on a state basis, Dr. Owen recommended that a certificate indicating membership in this organization be designed and presented to each active member, that the board of directors collect and study the addresses of all past presidents, compile their recommendations, and put into use those suggestions that would most benefit the society, and that a committee be appointed to compile a history of the society. Temporary officers were selected at the “Called Meeting.” Dr. Jack Turbyfill was selected as chairman and Dr. Olin Owen, secretary-treasurer. In 1957, the following year, the first organized meeting was held in Charlotte. Only members of the North Carolina Orthodontic Society (NCOS) could attend. Each member could submit the name of one guest he or she would like to attend; however, guest attendance was limited to the first ten names drawn from a hat. At this meeting, the governance was established in the form of a Board of Directors consisting of President, Secretary-Treasurer, and three Directors. In 1969, the organization moved to incorporate to protect its name and to position itself as the official arm for orthodontics in North Carolina. 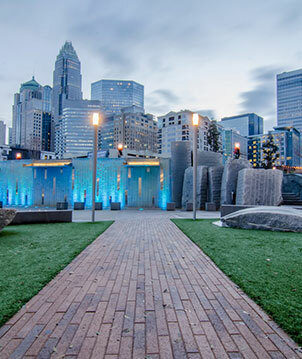 Although the structure has been updated through the decades, the focus of the organization is to advocate for the oral health of the citizens of North Carolina and advocate for the interests of orthodontists in North Carolina. Today, the North Carolina Association of Orthodontists is a diversified group of specialists that includes women and most ethnic groups living in the state. There are 196 active members, seven active academic members, 35 Life-Active members, one Affiliate, 45 retired, and five Life-retired, which brings the total membership to 289. Membership requires that the orthodontist is in good standing of the SAO and the AAO, and whose main office is located in the state of North Carolina. Over the years, its governing structure has changed and the by-laws have been modified to be more consistent with the by-laws of the American Association of Orthodontists.